Browse our cabin rentals for families and groups wishing to remain close-in to action packed Pigeon Forge attractions, dinner shows, museums and more. We have several cabin rentals next to the Pigeon Forge Parkway and others in resort setting just minutes from all the action. Love skiing or hiking in the Smoky Mountains? 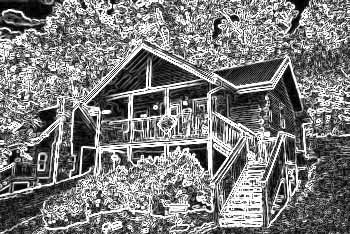 Browse our Gatlinburg cabin rentals. Several of our Smoky Mountain vacation rentals are located close in to the fun and excitement of downtown Gatlinburg. Searching for a private honeymoon cabin or maybe a resort cabin overlooking Gatlinburg, we offer several vacation rentals that fit this need. Check out our Chalet Village Gatlinburg cabins, with access to three resort swimming pools and clubhouses, great for family reunions and skiers wanting a Gatlinburg cabin rental next to Ober Gatlinburg Ski Resort. Our Smoky Mountain cabin rentals offer a variety of cabin amenities and are located throughout the foothills of the Smokies in communities like Sevierville and Wears Valley. One-bedroom honeymoon cabins to big group cabins awaiting your arrival to one of the most memorable Smoky Mountain vacations. With all the Smoky Mountains has to offer visitors even the fussiest vacation traveler is bound to have fun. Interested in adding a little something extra to your cabin vacation experience, check out our private swimming pool cabins , where you can swim in privacy year-round, or our theater room cabin rentals, where the whole family can share the movie theater experience in the privacy of their own cabin getaway. Traveling with pets, no problem we have pet friendly cabins in Pigeon Forge, Gatlinburg, Sevierville and Wears Valley to accommodate that special member to your family. Come discover what millions have already by escaping the everyday for an affordable adventure in the Tennessee Smoky Mountains!